Two programs make solar more affordable for state residents. 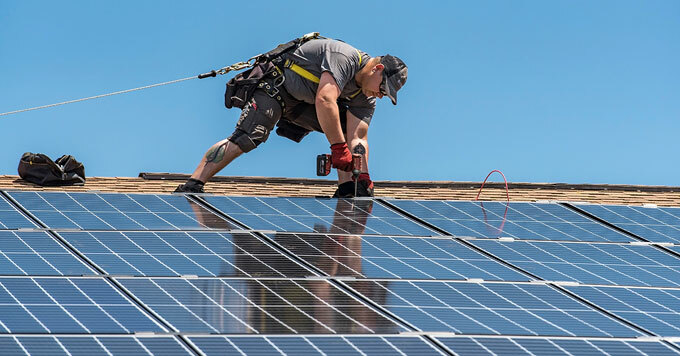 Going solar can provide lower energy bills, but the homeowners who need those savings the most are also the least likely to invest in solar energy. Kerry O’Neill ran residential energy programs at Connecticut Green Bank. So the bank launched two programs that are now run through Inclusive Prosperity Capital, a clean energy investment fund that was spun off from the bank. One program offers affordable leases for solar with no upfront cost. The other pays an incentive to solar contractors for installing systems for low- and moderate-income households. So companies can offer lower prices to these customers. The programs worked. Now, homeowners making less than the state’s median income install solar at the same rates as those with higher incomes.